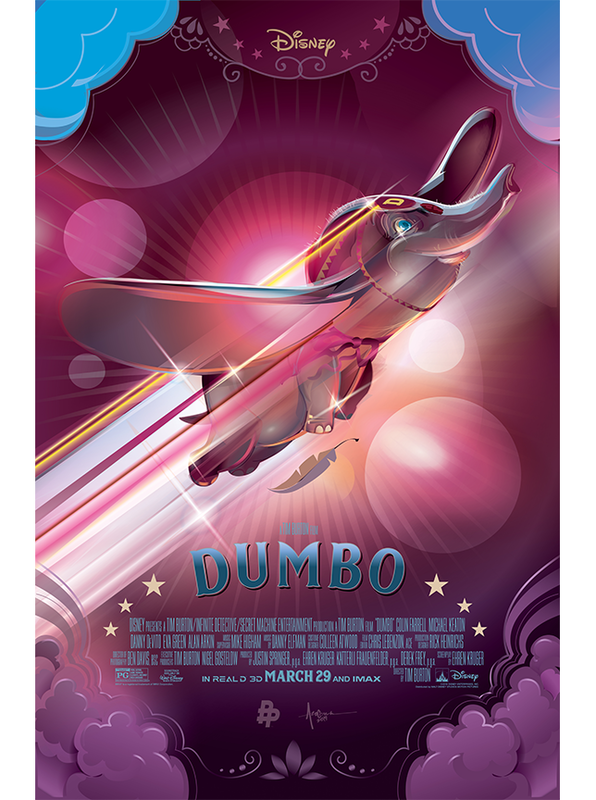 Orlando Arocena shared an incredible vector illustration project for the upcoming Disney movie Dumbo. Orland was really cool to publish a little making of, or a step by step allowing us to get a bit more of the behind the scenes of his creation process. At the end we have a 19,251 points vector illustration full of amazing details. Very honored to have been commissioned by Walt Disney Studios in association with the PosterPosse to create this official Poster the 2019 release of Tim Burton’s DUMBO! Dreams do come true… You just have to find your courage and hold on tight for the ride! Below you can see the two quick vector sketches submitted to Disney. Orland was inspired by the Carnival era and style plus wanted to mix in a bit of my “Pop-Deco” Gradio style.